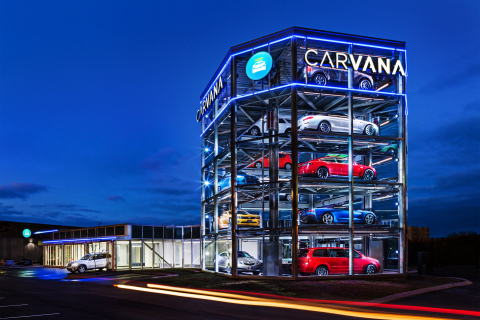 Introducing the world’s first fully-automated, coin-operated car vending machine, from Carvana. NASHVILLE, Tenn.--(BUSINESS WIRE)--Carvana, the first complete online auto retailer and Forbes 5th Most Promising Company, today launched the world’s first, fully-automated, coin-operated car Vending Machine in Nashville, Tenn. Carvana customers can now purchase a car entirely online and choose to receive their car through a proprietary and fully-automated pick-up experience, similar to how a can of soda is dispensed from a traditional vending machine. 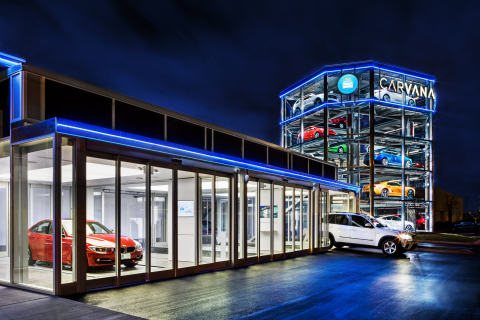 Carvana’s car Vending Machine in Nashville is a beautifully designed glass building that contains a Welcome Center, a five story glass Tower storing up to 20 cars, three customer Delivery Bays and an automated delivery system that moves a customer’s vehicle from the Tower and into each Bay. 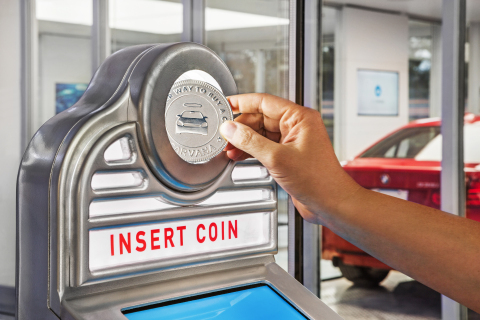 At time of pickup, a customer selects their name from a kiosk inside the Vending Machine and inserts a Carvana-branded coin into the custom coin slot, which initiates the vending process. 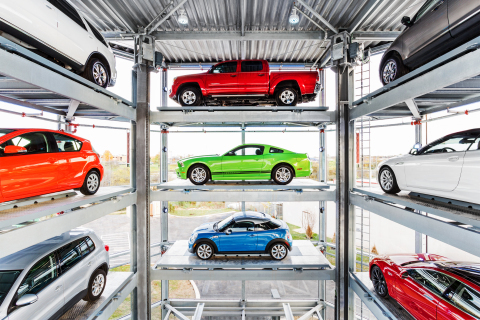 Their car is automatically retrieved from the Tower and is moved through the machine until it reaches a Delivery Bay, where they take possession and begin their seven-day test ownership period. As an added benefit, Carvana also supplies each customer with a personalized video of their one-of-a-kind Vending Machine experience they can then share on social media. The launch of Carvana’s fully-automated Vending Machine is yet another marker of monumental growth for the company in 2015. In addition to this launch, Carvana has expanded into several new markets this year, including Birmingham and Dallas in early 2015, as well as Houston, Austin, San Antonio and Raleigh in just the last few weeks. 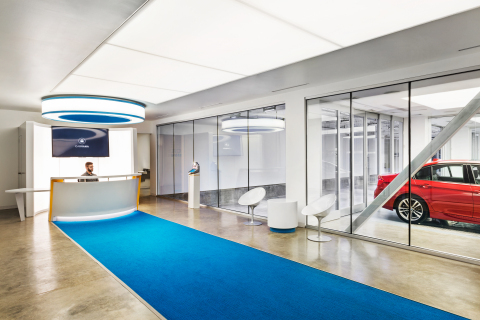 Fueled by more than $300 million in funding to date, Carvana plans to continue its rapid geographic expansion – including Vending Machine rollouts – to bring a better way to buy a car to consumers nationwide. The Carvana Nashville Vending Machine is located at 4270 Kenilwood Dr., Nashville, Tenn. 37204. Hours of operation are Monday through Saturday from 9am to 7pm CST. Vehicle pickup at the Nashville Vending Machine is free for all Carvana customers. For those customers who live outside of Tennessee but want to pick up their car at the Vending Machine, Carvana will subsidize $200 in airfare and arrange white glove transportation from the Nashville airport. 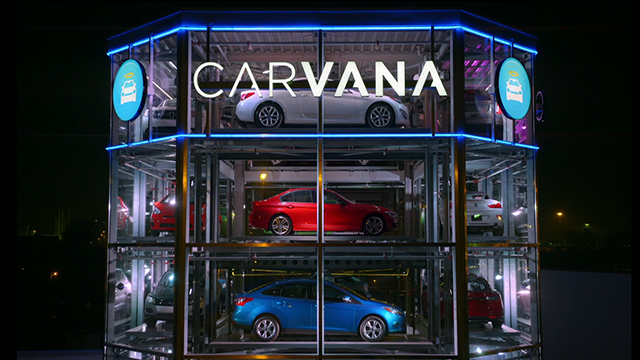 To see the world’s first fully-automated, coin-operated car Vending Machine in action, visit www.carvana.com/vendingmachine. Founded in 2013 and based in Phoenix, Ariz., Carvana is the first complete online auto retailer offering vehicle purchase in as little at 11 minutes, with an average savings of $1,681. With Carvana you can shop for, finance, purchase and trade-in a car entirely online, while also receiving as soon as next day vehicle delivery or pick-up at the nation's first vehicle vending machine. Carvana cars are accident-free, undergo a 150-point inspection and come with a 100-day/4,189 mile bumper-to-bumper warranty, as well as a 7-Day Test Drive and No-Questions-Asked Return Policy. Carvana is revolutionizing the car buying process through technology, transparency and exceptional customer service, while eliminating the pressure, hassles and hidden fees that come with buying from a dealership. For more information on Carvana, visit www.carvana.com or connect socially on Facebook, Instagram and Twitter.